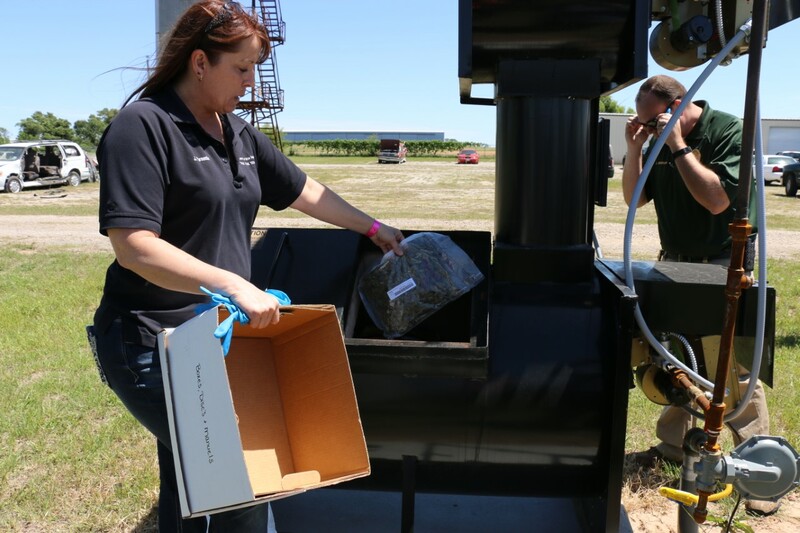 On April 27, the Stephenville Police Department (SPD) presented their new Drug Destruction Incinerator. Up until now, Stephenville PD has had to travel hundreds of miles away in order to dispose of the illegal drugs that they obtain. “Our folks were driving basically halfway across the state a couple times a year to get this disposed of,” said Chief of Police, Jason King. Acquiring this incinerator has been a much longer process than expected and has been in the works for months. They put in an application to receive a grant about a year ago for this type of equipment but unfortunately were not able to get it. King helps serve on a board for a local nonprofit and while visiting after a meeting, Dr. David Stanphill from Stephenville Family Dentistry, expressed to King that he wanted to help SPD with anything that they were needing, and King brought up their need for this incinerator. The installment of this new drug incinerator can be credited to a large amount of support from Dr. Stanphill and the Erath County Crime Stoppers. “We brought a nice selection of dope today…,” laughed Lieutenant James Gresham as they got ready to head outside for the demonstration. 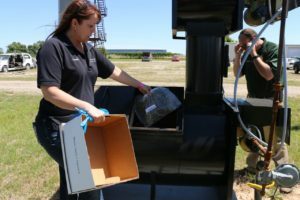 Burning at around 2,000 degrees, this incinerator is able to turns these drugs into non-hazardous ashes that can simply be disposed of into a dumpster when finished. SPD put in two containers of drugs and will leave the incinerator burning for about three hours. This incinerator is also available to use for other local agencies such as Tarleton PD, Dublin Police, etc.